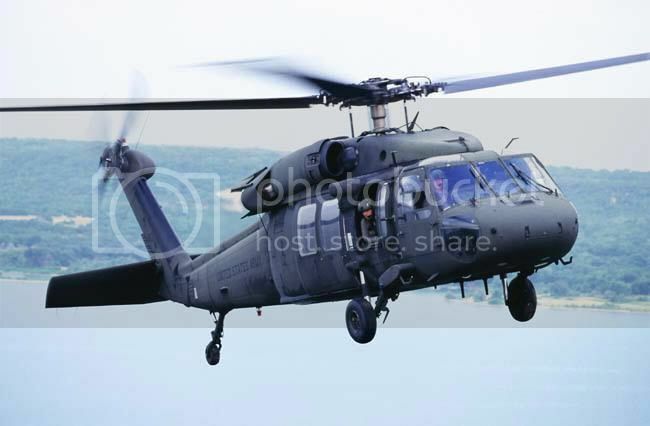 The successor to the legendary Bell UH-1 'Huey', the Sikorsky UH-60 first flew in 1974 and was christened the Black Hawk. It has become one of the most versatile and successful utility helicopters currently in service and has been used widely, from the invasion of Grenada to the ongoing operations in Iraq and Afghanistan. An attack helicopter configured with missiles, rockets, machine guns and cannon, the Black Hawk is also capable of undertaking a wide range of missions on the battlefield, including troop transport, command and control and aeromedical evacuation. Operations in Afghanistan can be hazardous even without enemy activity. Below is a photo of just what some of the country is like. "If the engine fails, you want to find a place to put down crew"? I opened this thread in the hope of seeing Blackhawks in Afghanistan. The picture shows a Cougar, possibly one of the Dutch ones that were operating there until early this year. Got any Blackhawk photos from Afghanistan to go with the story too? Photo from army.mil, see below (resized), or full res here. Not the best photo, but at least it's an Army Blackhawk in Afghanistan. Speaking of the UH-60/S-70 in Afghanistan, I'd like to see some pics of the Turkish ones, which flew Medevac few years back (and maybe still do?). 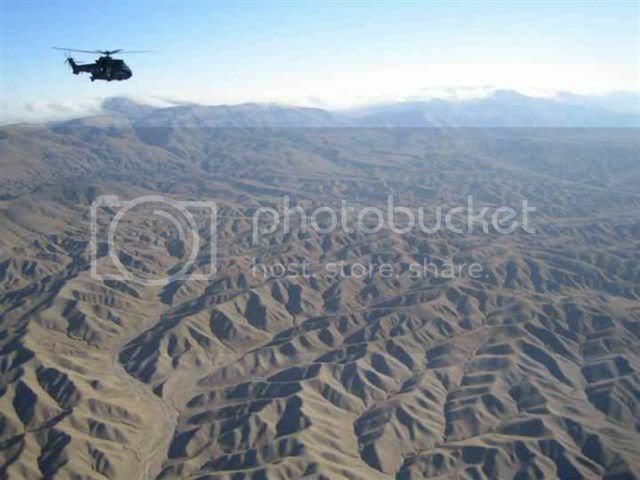 This is your chance to look for pics of the Black Hawk in Afghanistan in your browsers yourself and post. Thanks for this add on to my post Niels. In fact the whole purpose of the post was to show the hazardous operating conditions and the latent problem and danger of a crash landing in that country. The type of copter was secondary. Most of your first post is about the UH60. You only mention "Operations in Afghanistan can be hazardous even without enemy activity." I take your response to mean that, no, you do not have photos of UH60s in Afghanistan. That's fine. In opening your thread the first time I was only curious to what photos you would be posting. You can enjoy looking at one of mine then. How many US Blackhawks are now approx. deployed to Afghanistan? I know a bunch have been at Kabul for years now, but I suppose there are many more? By the way, found this pic of a Turkish S-70 there for starters.